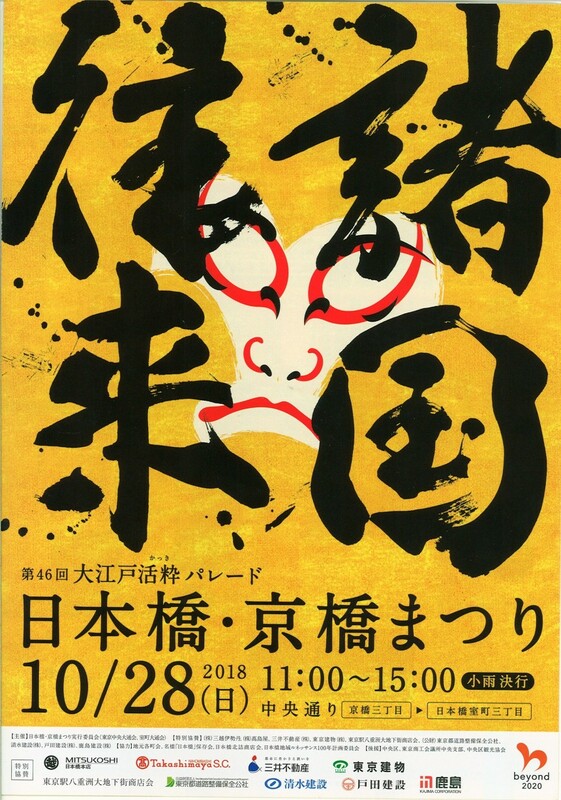 “Traditional Dances” and “Local Delicacies” from various regions of Japan gather here in Nihonbashi: the cultural and business centre of Japan in Edo period and the Kilometer Zero point. The main part of the festival, the parade, will feature 2,000 dancers and performers from Kyobashi through Nihonbashi! You can also discover local delicacies that you may not be able to normally get in Tokyo. Don’t miss the beautiful Kimono photo session on the Nihonbashi Bridge! Nihonbashi, Kyobashi Festival Executive Committee.